Star Above Star flowers very late, for a sasanqua, and fills the gap, if there is one, between the sasanqua flowering period and the japonicas. 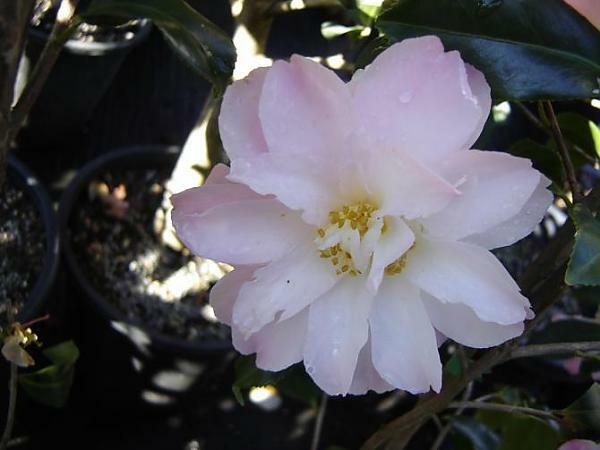 It has delightful white flowers flushed pink towards the edges with petals arranged star shaped, one above the other. Vigorous upright bushy growth.